Well I tried once, I'll try again. After that I'll fogettaboutit!! I'm going to skip your first two plans and go with your third. I was at that place and they said to come back later. So, no need to panic (yet), I guess. Nice. I'll just carry on as is. I drive in and around Guadalajara at least twice per month and have never had a problem (touch wood). I drive too fast for any transito to notice a sticker.......jaja. Is this ALL cars or just cars of a certain age? Semalu wrote: Is this ALL cars or just cars of a certain age? I have found it easier to use the testing place in Jocotepec. Where is it in Joco? Coming from the east. When you come to the first traffic light in Jocotepec turn left and follow the old truck route through Jocotepec. Right at the Cuba restaurant onto Vincente Guerro. Continue on this through 3 traffic lights. About a block past the last light (at Independicia) there is a tope. The testing place is here on the right. There is a sign. Next door to a car wash. Across the street from Pepe Pollo. 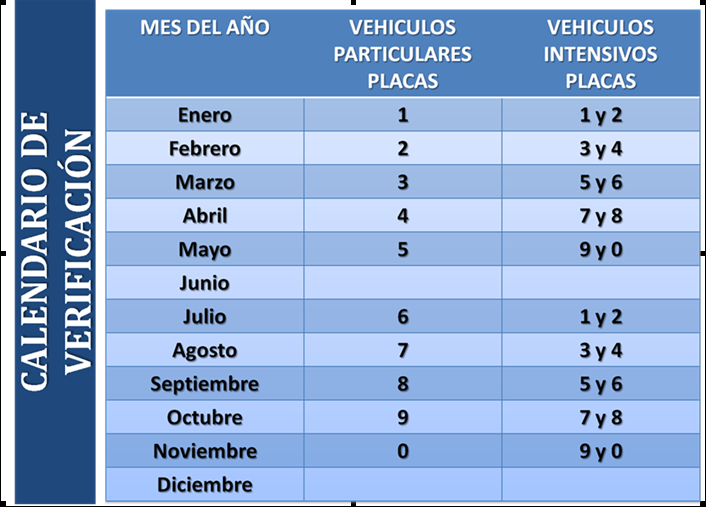 Today's Guadalajara Reporter states that they are setting up check points in Guadalajara for emission stickers and fines range between $730 to $2190 pesos. cypress wrote: Coming from the east. When you come to the first traffic light in Jocotepec turn left and follow the old truck route through Jocotepec. Right at the Cuba restaurant onto Vincente Guerro. Continue on this through 3 traffic lights. About a block past the last light (at Independicia) there is a tope. The testing place is here on the right. There is a sign. Next door to a car wash. Across the street from Pepe Pollo. If the plate # is 9 then is the test month October? Last year, we took the car in, in the month of the last digit and were told to bring it back the NEXT month. Has this changed? The last digit of my plate is 7. It gets done in August. And mine is an 8 and gets done in September. Seems like there's no testing at all in August or December... a quirk I guess because there's twelve months but only 10 digital options. so is it Sept or Oct? SunshineyDay wrote: so is it Sept or Oct? October. There is no testing in June. It is October. Spencer put this info his Chapala Law website under the Jalisco driving laws. The only ones that follow the proper months are January to May.